if you've read my November Favorites, you'll know that this is one of them! I am a huge lip color fan. I can buy and buy and buy lipsticks like there's no tomorrow. Generally, I like bold strong colors because I pull them off best.. I don't know why but I just don't look good in neutrals.. sigh. I know I seem to constantly wear the same types of colors but.. well I'm a firm believer in wearing what you look good in; no point buying something you don't pull off right? Anywhoo, I got hooked onto berry colors after Ash introduced them to me, and like they say, the rest is history. Just for your information, this color is in After Bloom. 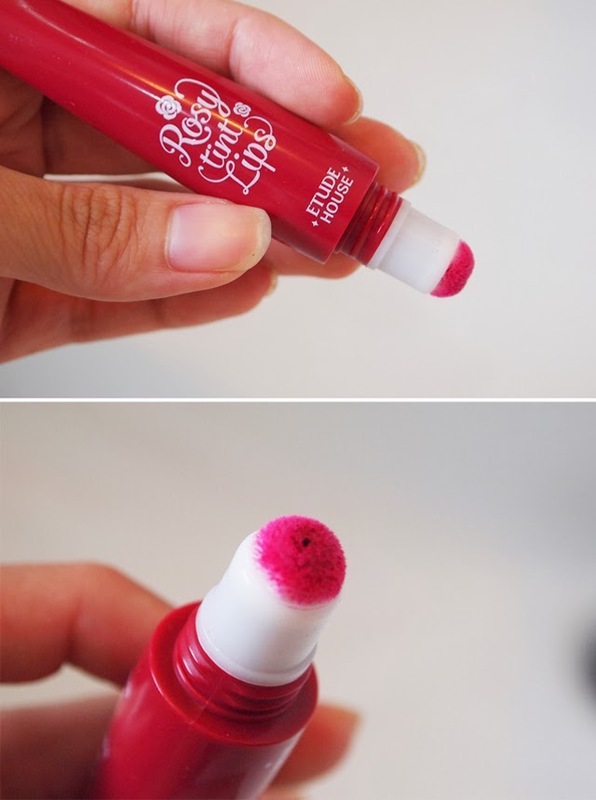 This is... well.. okay, a lipstick in a lip gloss tube. It's not big at all, and fits very snugly into the palm of my hands - it also fits into my tiny makeup purse with ease. It looks pretty weird inside to me.. because when I see lip gloss tubes, I expect to see a smooth edge where the product comes out, instead of the kind of material you see on doe-foot applicators, you know? It's kinda furry and makes me feel like all my product is going to be wasted stuck on to the tip as opposed to on my lips..... which is what happens sometimes... I'm not a big fan of it but if you read on to Application, you might understand why it's designed that way. I am going to be honest and say that that does affect the outcome of the lipstick. If I compare it to clothes.. I would say it's like a bodycon dress. You can't hide your flaws. 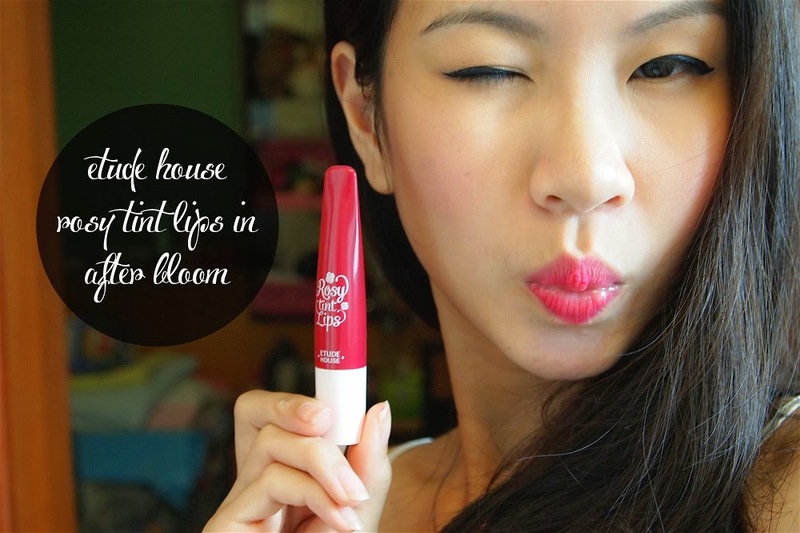 The moment you put it on, it's going to be immediately obvious if you are the kind of person who has dry or flaky lips. You definitely definitely need to smooth on some lip balm first before applying this. But once that's done and it's out of the way, oh goodness it looks so pretty. 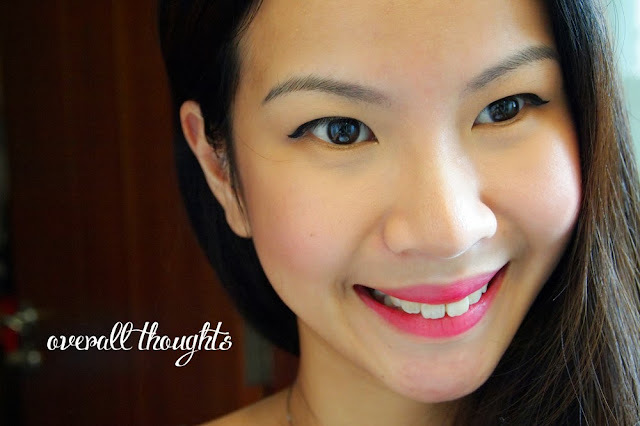 The color is so strong, I doubt it should even be called a lip tint. It should really be a matte lipstick instead! Two: I squeeze out a desired amount and then use the applicator with it to dot all over my lips. 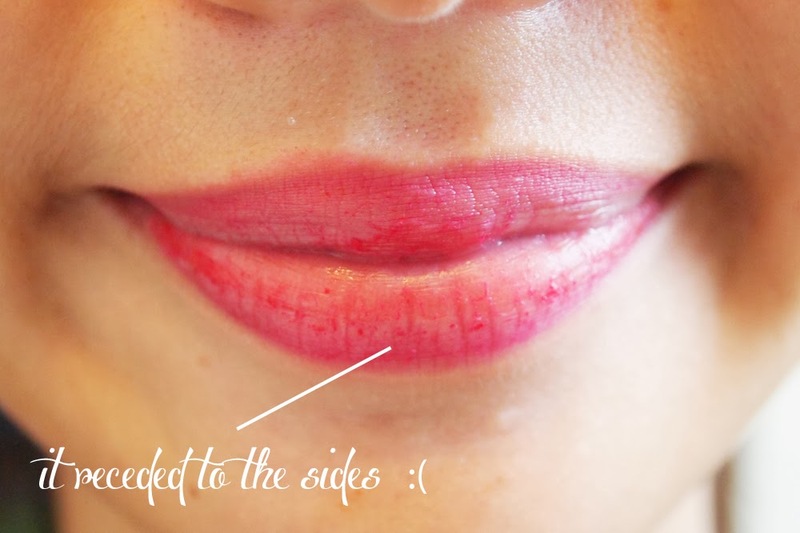 This method is especially useful when your lips are slightly wet and the color won't catch on. The "cottony" side of the applicator absorbs that moistness and deposits the color onto your lips evenly. I think it looks amazing. I may not have applied it wonderfully in the picture above but I do think it covers my lips nicely. I love the matte finish (and that speaks volumes because I'm really not a great lover of matte finishes) and just how it makes my lips look so.... elegant? Lol, you know what I mean? It's just so classy in a way and also quite.. demure? 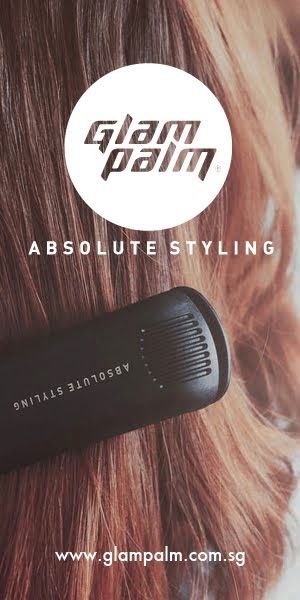 The color is strong but because it isn't glossy it doesn't become overwhelming.. you can opt to wear it by "dabbing" on lightly so it will not be so strong... there's just so many ways around it. But what's the piece de resistance you ask? It DOES NOT sink into the lines nor emphasize them. Just glides over smoothly and beautifully. Okay, I admit this doesn't look great at all, but at this point I had worn it for about 3 hours and ate very greasy duck noodles. I'm going to assume the oil wiped it off because I drank water beforehand and nothing happened to the lip color. Well, it is pretty typical for most lip products that this happens... though of course I wish it didn't. I suppose you could get around that by placing a tissue on top of your lips and dusting some loose powder to prolong it's lasting powder, but that might dry your lips out more. 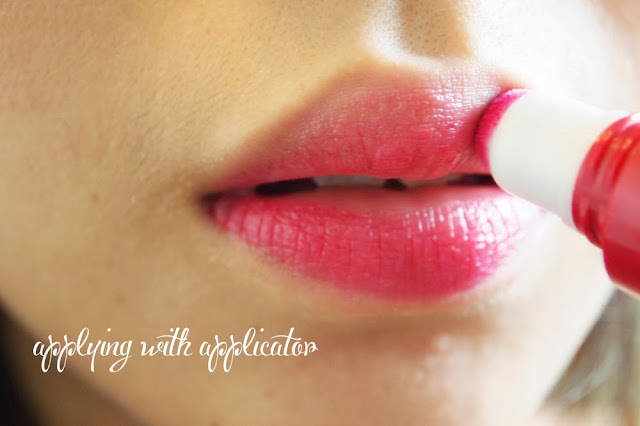 If you're going to use this method, then it is best that you really hydrate your lips beforehand. I do touch up after a meal though, and I am used to it as well, so this doesn't bother me much. 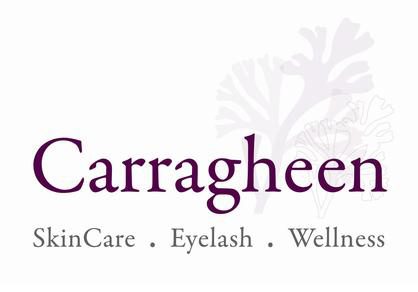 On the whole, I really really do like this product, especially for blog event days because we don't do much sitting down and eating.. it's mostly canapes which you fit straight through your much without touching of the lips.. If you're going to a function though, you might need to be prepared to bring along the lip tint for touch ups. Definitely. No regrets here at all. The price is also so attractive at only $14.90, so you don't get to complain much. Hey dear, sorry for the late reply! I really love the color!